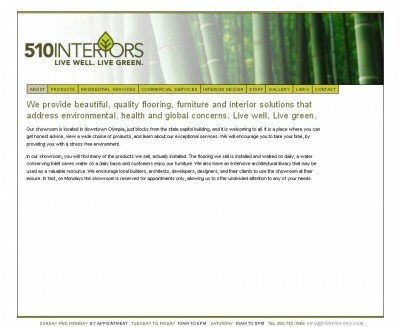 My latest CSS website: 510interiors.com in Olympia for your residential and commercial interior design. You are amazing — everyone loves you and is thrilled that you are handling the conversion. Your summary of the meeting was spot on. I’ve emailed our design firm to let them know that you are handling the conversion of the new site. Thank you.